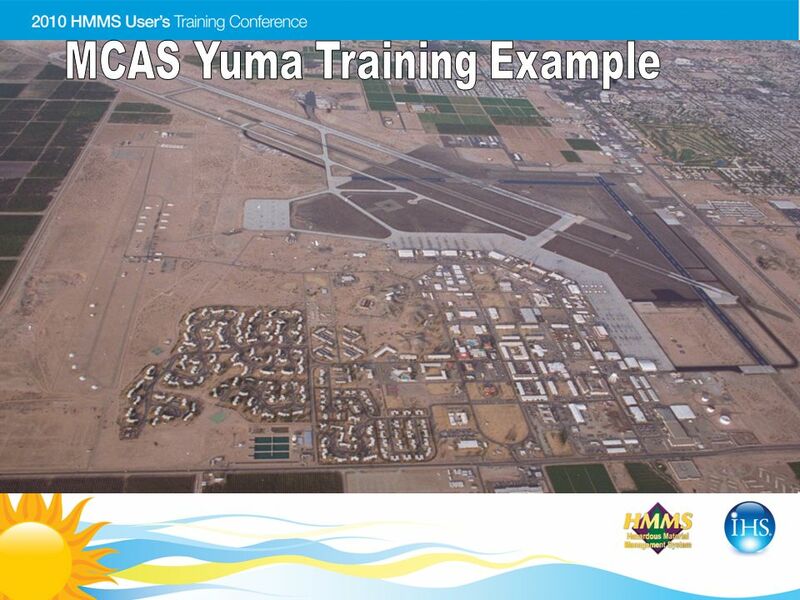 Presented by Tiffany Earhart, CT-3 MCAS Yuma. 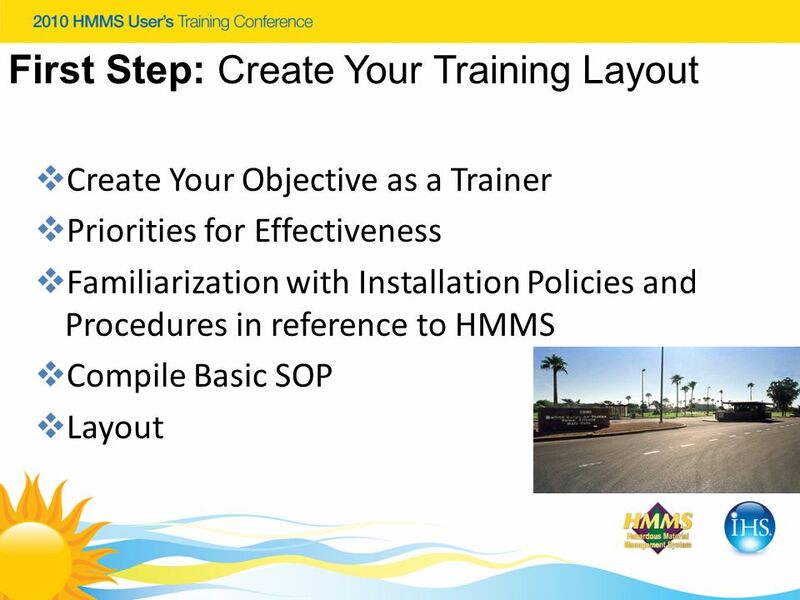 First Step: Create Your Training Layout Create Your Objective as a Trainer Priorities for Effectiveness. 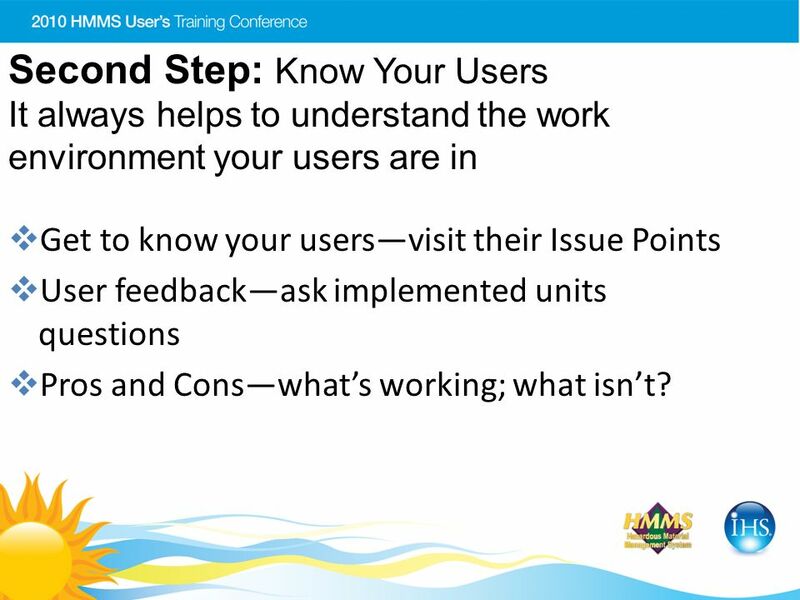 3 Second Step: Know Your Users It always helps to understand the work environment your users are in Get to know your usersvisit their Issue Points User feedbackask implemented units questions Pros and Conswhats working; what isnt? 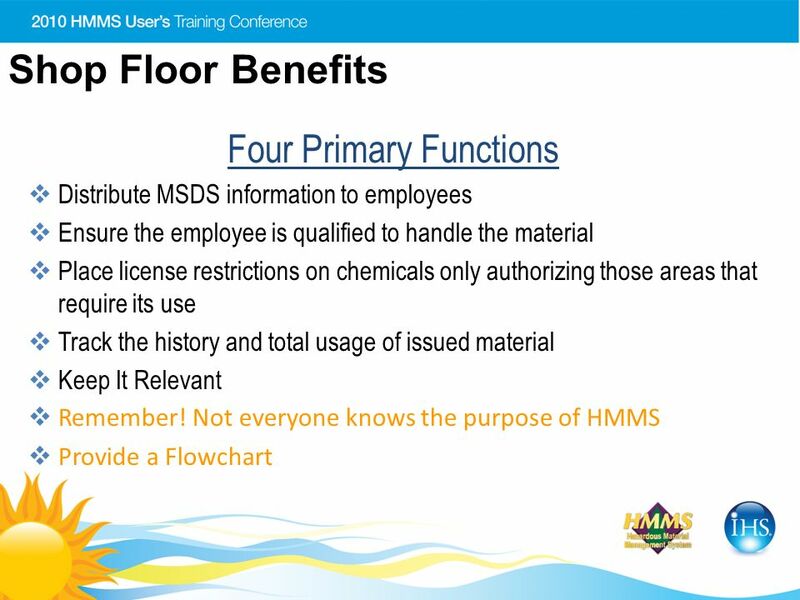 4 Third Step: Dont Be Afraid To Try Something New Remember HMMS is adaptable Be prepared to handle complaints (know or have handy your Installation Orders/Branch of Service Policies/Procedures) and your structure of command Strive for Customer Delight Feedback!!! Feedback!!! Feedback!!! 20 Transfer This feature is available to you. 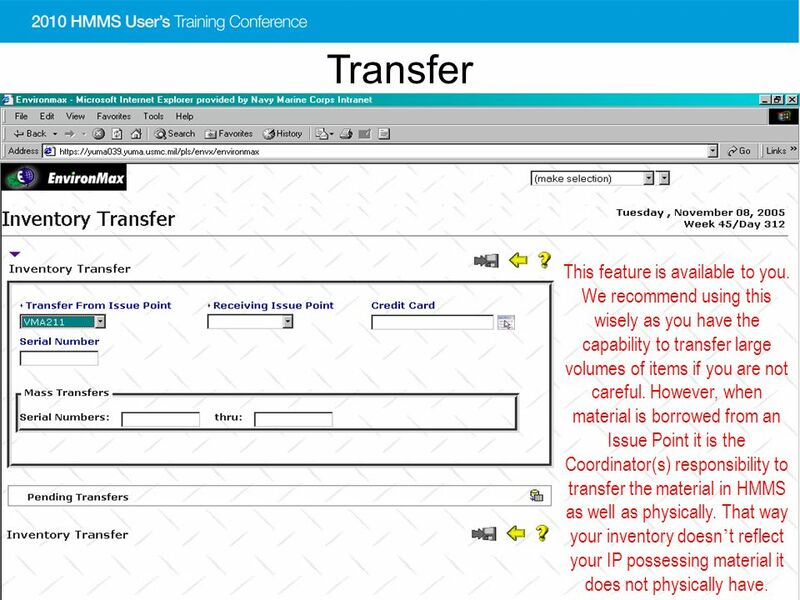 We recommend using this wisely as you have the capability to transfer large volumes of items if you are not careful. 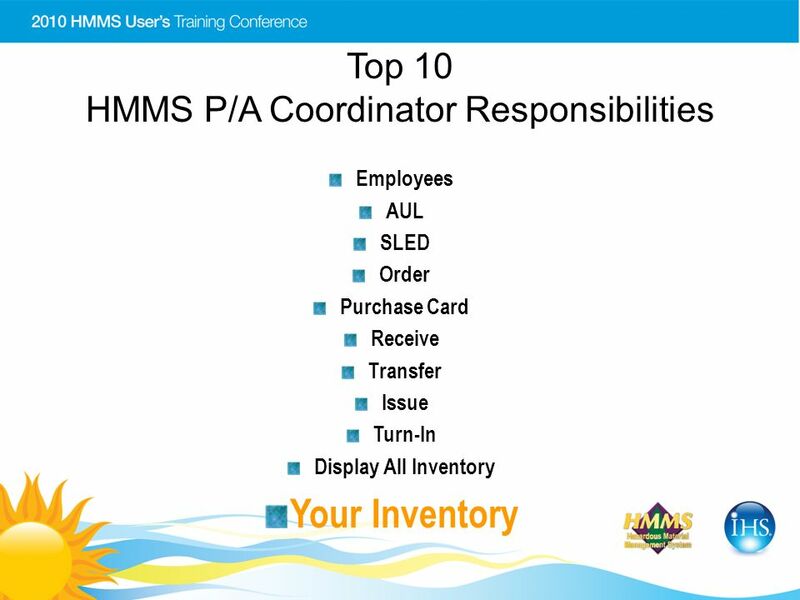 However, when material is borrowed from an Issue Point it is the Coordinator(s) responsibility to transfer the material in HMMS as well as physically. 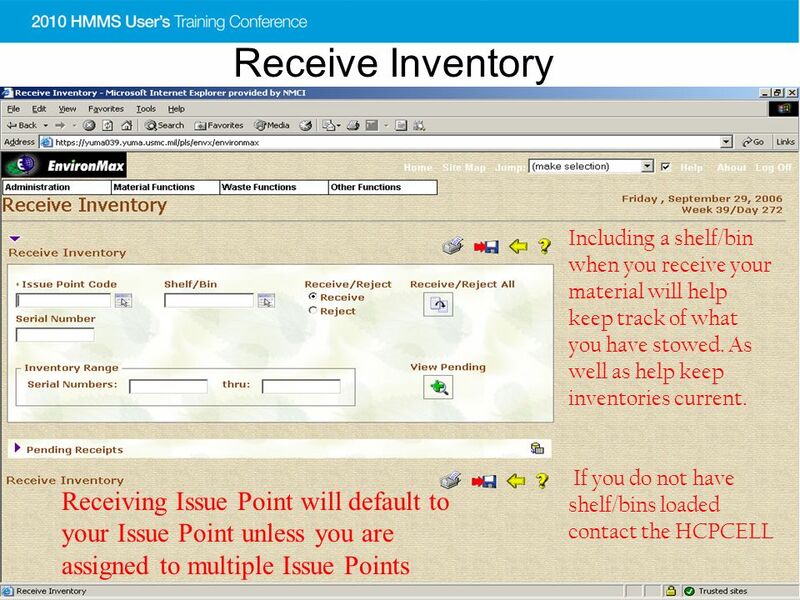 That way your inventory doesn t reflect your IP possessing material it does not physically have. 21 Issue The employee labels come in handy in this screen. 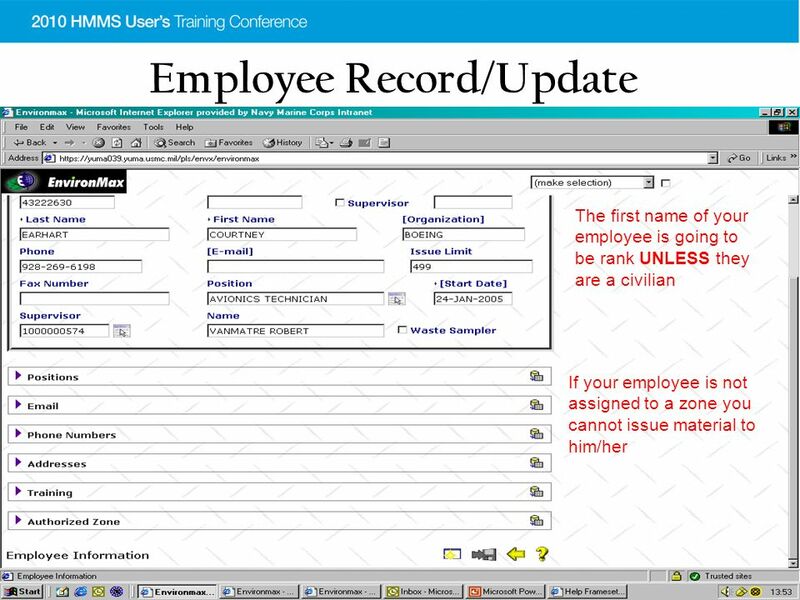 When issuing material to your employees you are required to fill all fields that have an + at the top left hand of the field. You may use the scanner to scan the barcode on the employees label and most of the information will automatically populate. You can use the scanner to scan the barcode on the material as well. 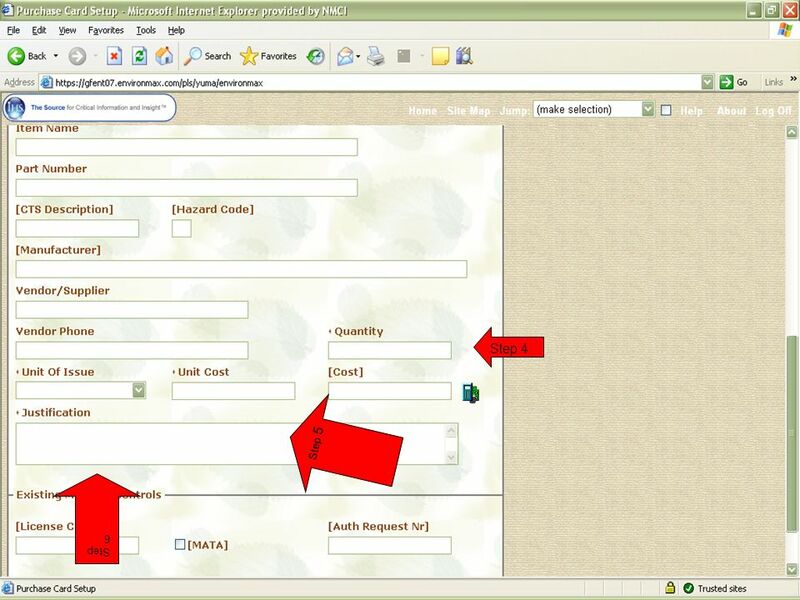 Make sure when you are issuing the material you choose the CORRECT process code. If you do not know, or do not see one that applies contact the HCP for further guidance. Choosing the wrong processes can lead to incorrect environmental reporting as well as loosing some exemptions. 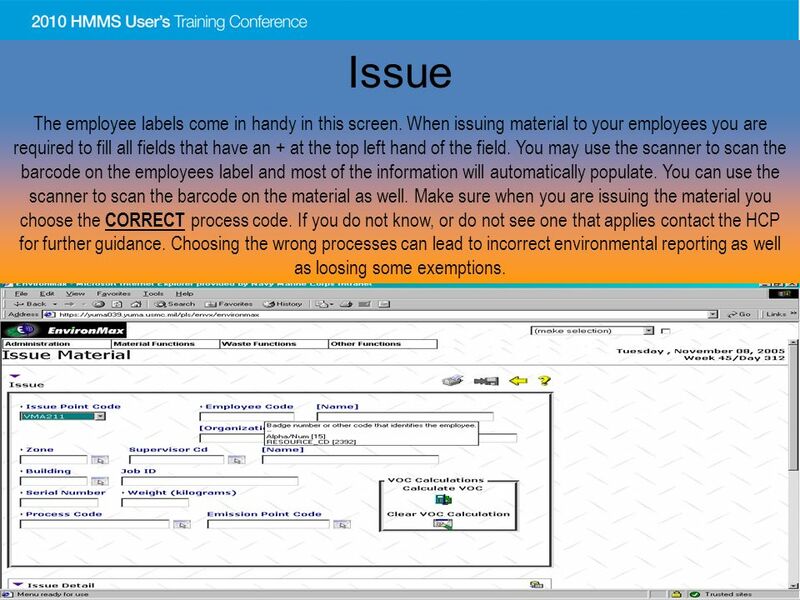 22 Turn-In Make sure that material that is turned-in has the correct status Any item turned in with a weigh greater than zero will automatically default to USED MATERIAL status The screen is used in facilities that choose to implement closed loop business practices, meaning that materials going out must be accounted for by being returned to an issue point. 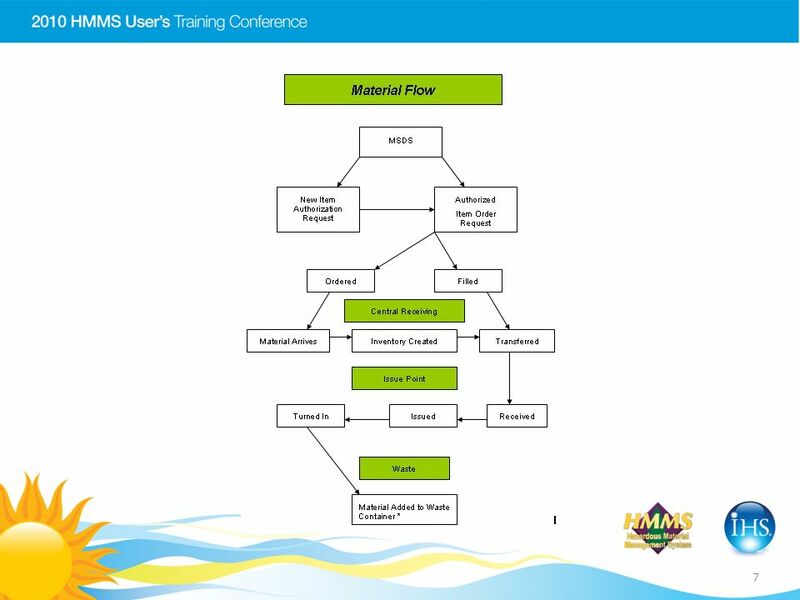 In this practice, there is an option to use a scale to weigh returned material for accuracy, depending on how tightly a facility wants to control inventory. 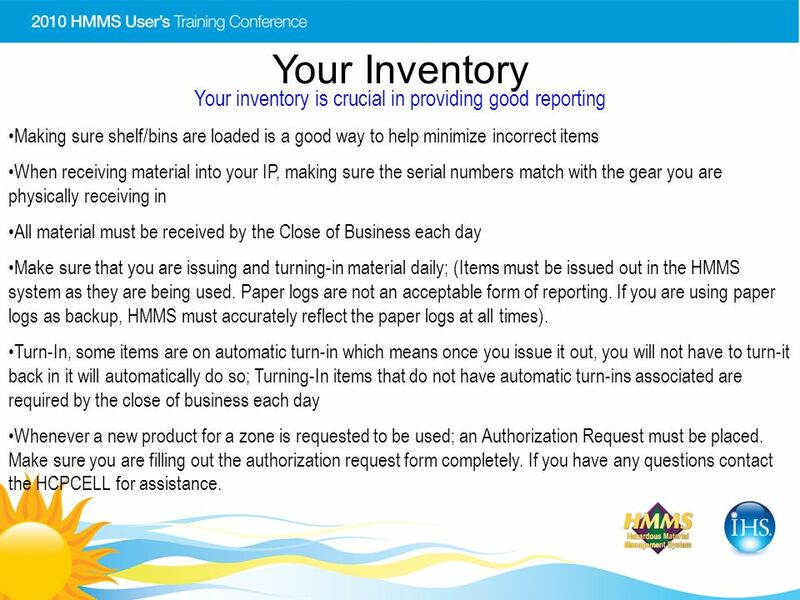 24 Your Inventory Your inventory is crucial in providing good reporting Making sure shelf/bins are loaded is a good way to help minimize incorrect items When receiving material into your IP, making sure the serial numbers match with the gear you are physically receiving in All material must be received by the Close of Business each day Make sure that you are issuing and turning-in material daily; (Items must be issued out in the HMMS system as they are being used. Paper logs are not an acceptable form of reporting. 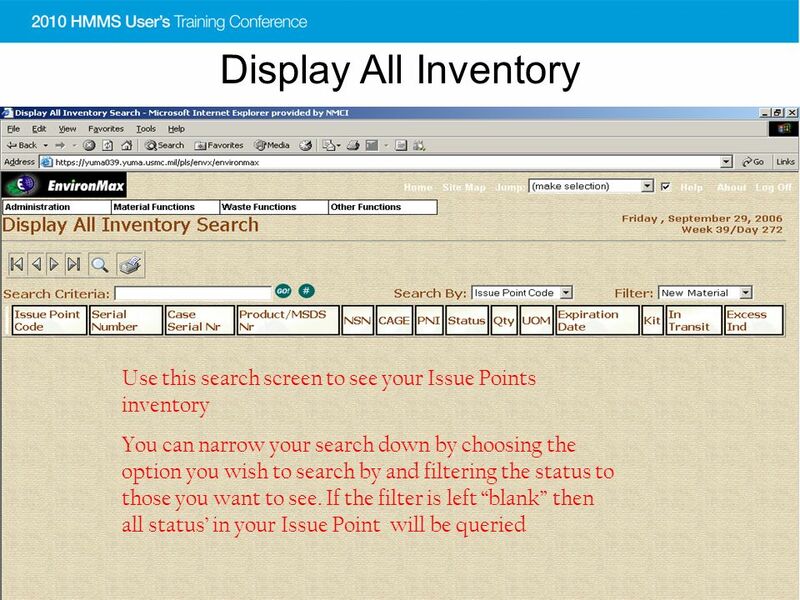 If you are using paper logs as backup, HMMS must accurately reflect the paper logs at all times). 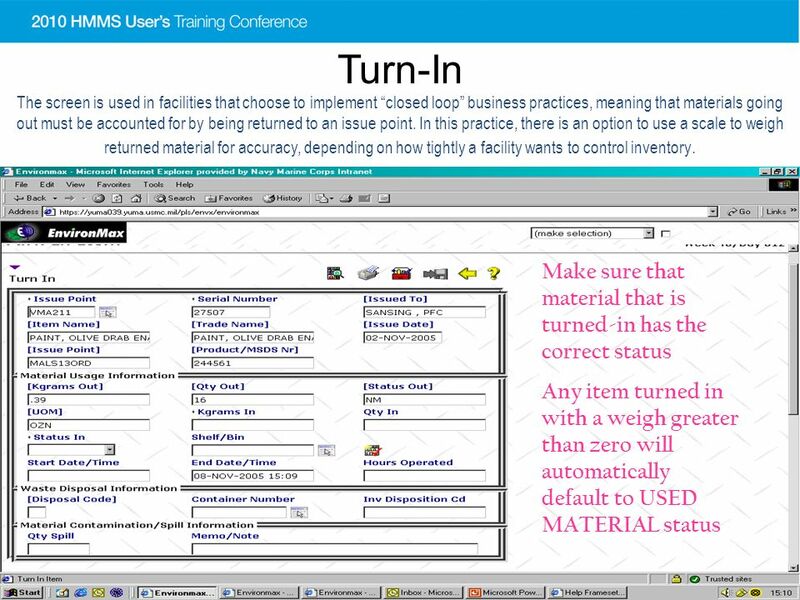 Turn-In, some items are on automatic turn-in which means once you issue it out, you will not have to turn-it back in it will automatically do so; Turning-In items that do not have automatic turn-ins associated are required by the close of business each day Whenever a new product for a zone is requested to be used; an Authorization Request must be placed. 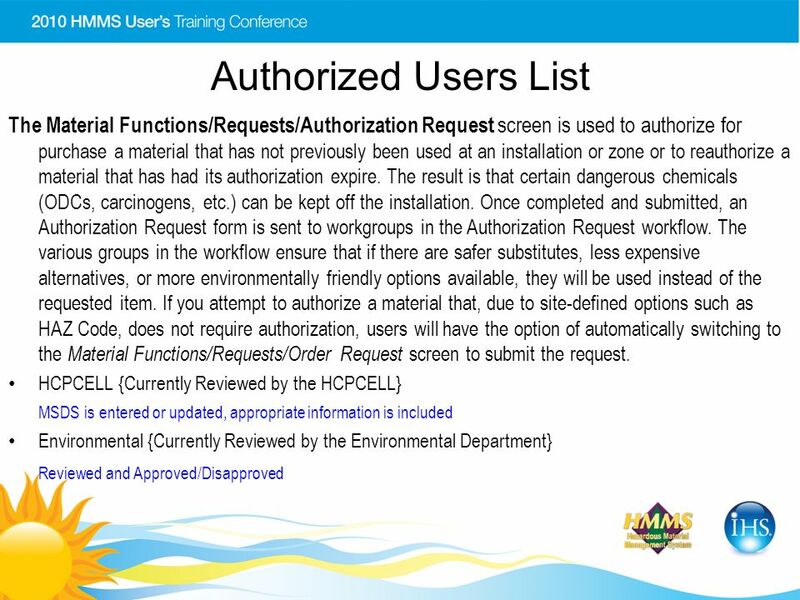 Make sure you are filling out the authorization request form completely. 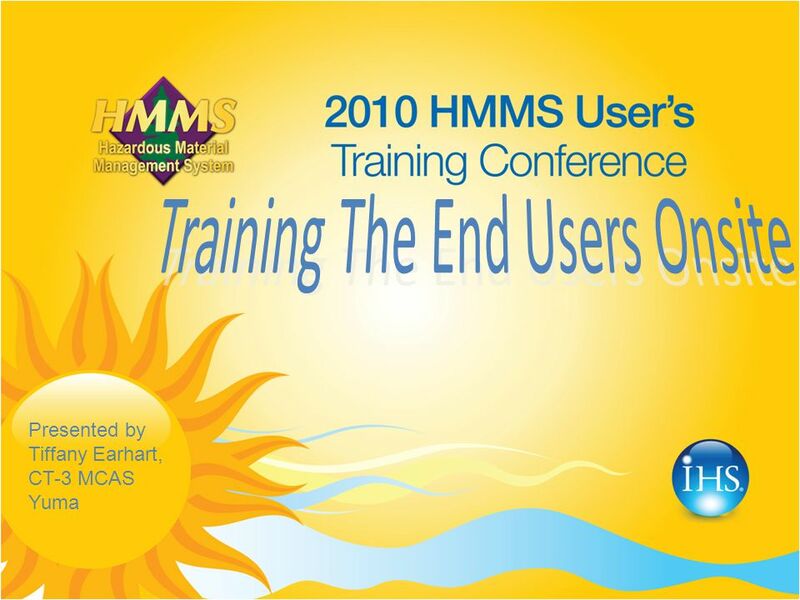 If you have any questions contact the HCPCELL for assistance. 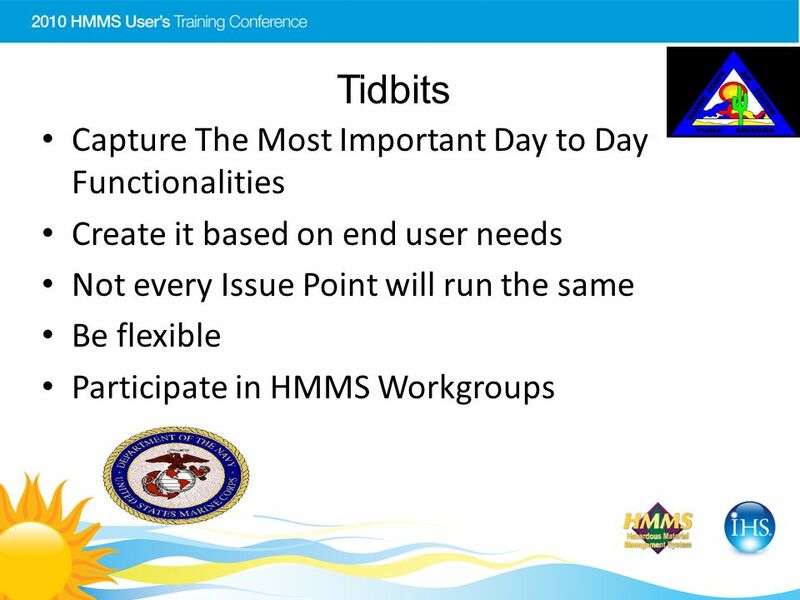 Download ppt "Presented by Tiffany Earhart, CT-3 MCAS Yuma. 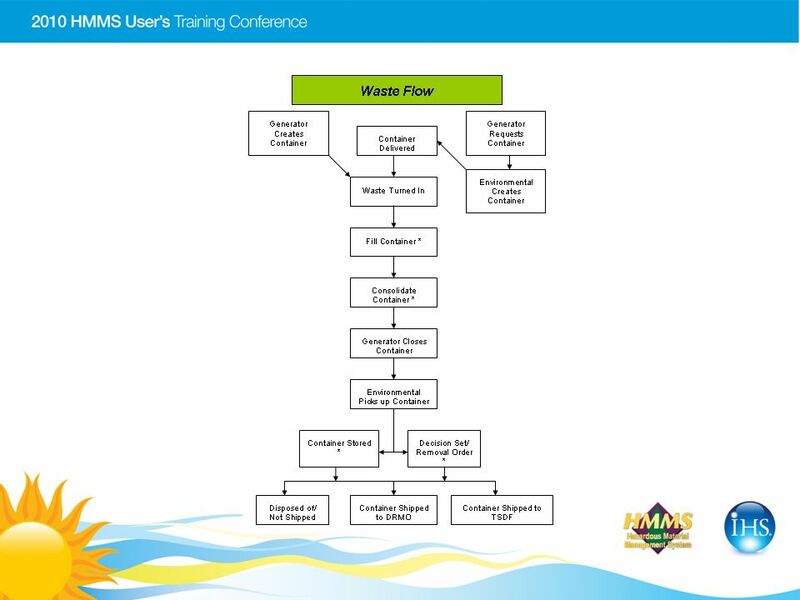 First Step: Create Your Training Layout Create Your Objective as a Trainer Priorities for Effectiveness." Craig J. Nichols, Secretary. FLEET User Manual May 2013. 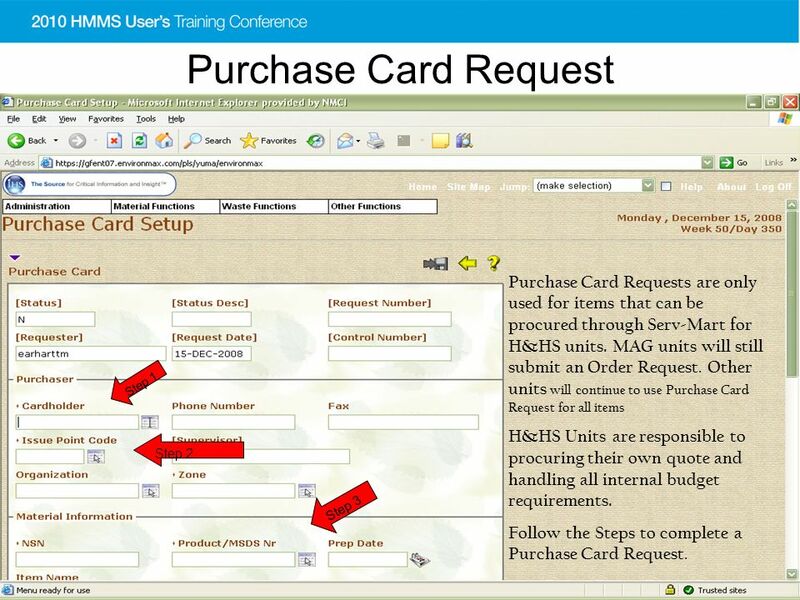 Using the Supplier Relationship Management (SRM) OfficeMax Punch-out Catalog. 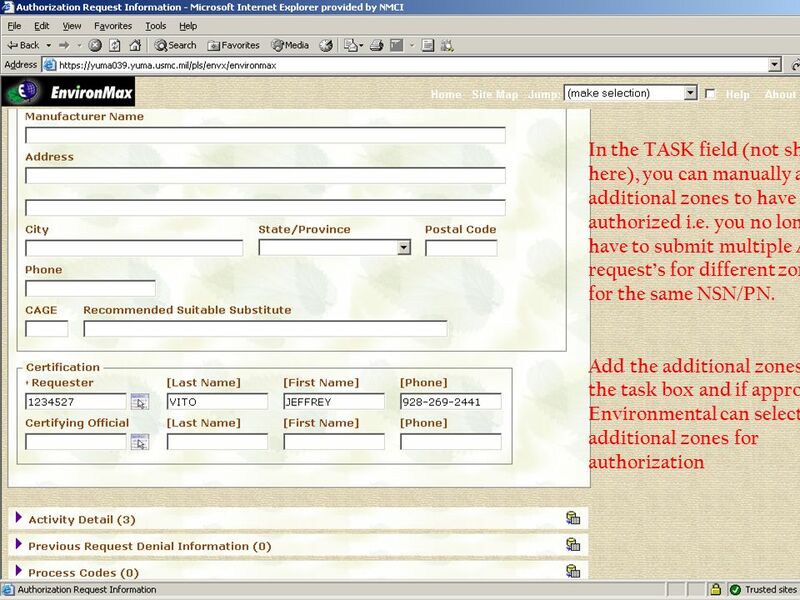 Air Force Portal Log onto the AF Portal with your Username and Password or your CAC Log In. Training Guide. 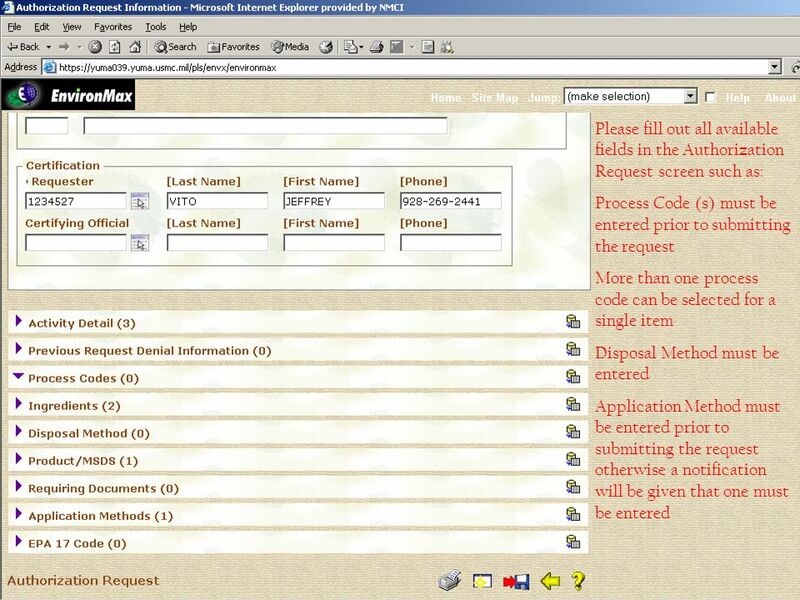 The Punch Out Catalog System The Punch Out shopping catalog for VWR takes the user directly into the vendor’s website and online catalog. 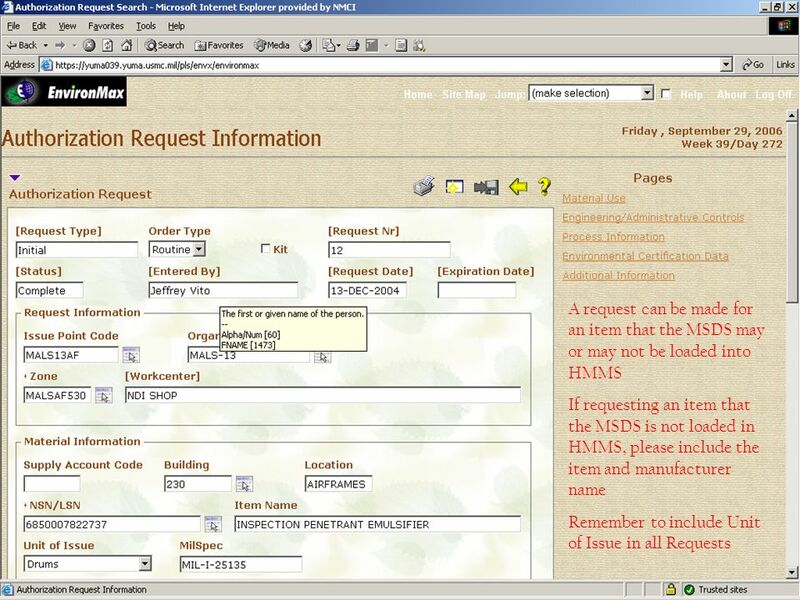 Overview Advantages Disadvantages Logging into the Site Creating a Requisition Checking Status Reviewing History Approving a Requisition Editing a Requisition. Copyright © 2013 FingerTec Worldwide Sdn.Bhd. All rights reserved. American Diploma Project Administrative Site Training.